Over the years, Samsung has given the Android operating system several features that are now deemed essential. Take for example the TouchWiz UI, which laid the foundation for what we call Stock Android today. The Korean behemoth also gave us the concept of Always On Displays, which has found its way to several devices with an OLED panel. However, implementation of AoD is up to the OEM and is still found mostly in flagship devices such as the Pixel 2 XL. Now, you can switch on AoD on devices that don’t natively support it via an app. Bear in mind, that the app is specifically for OLED/AMOLED panels. There’s nothing stopping you from using it on an LCD panel, but you may witness a drop in performance. 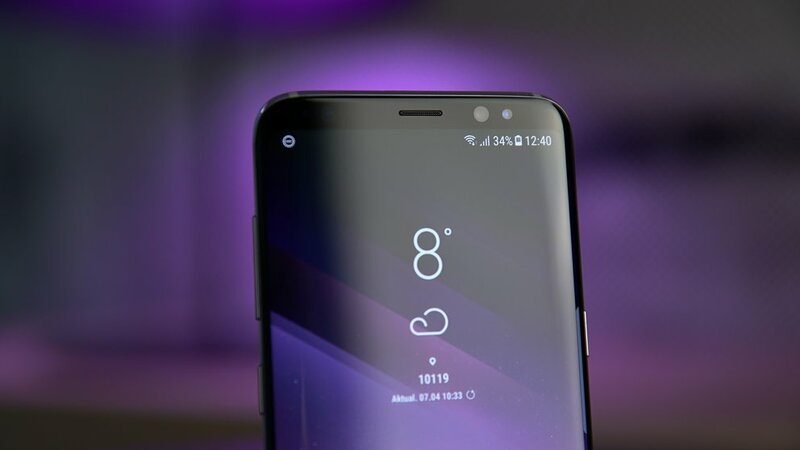 All you need to do is download the Always On AMOLED app from the Play Store, and grant it the requisite permissions which include, draw over other apps, modify system settings and notification access. From the settings, you can change the clock style option under the Styles section, customize the wallpaper under the Background/Wallpaper tab, and even the text/font size under the Text & Font section. You can even enter your location and get real-time weather updates on the AoD screen, but that feature is for the pro version of the app only. Lastly, you can even set a reminder which will show up on the AoD screen under the Always On Memo tab. 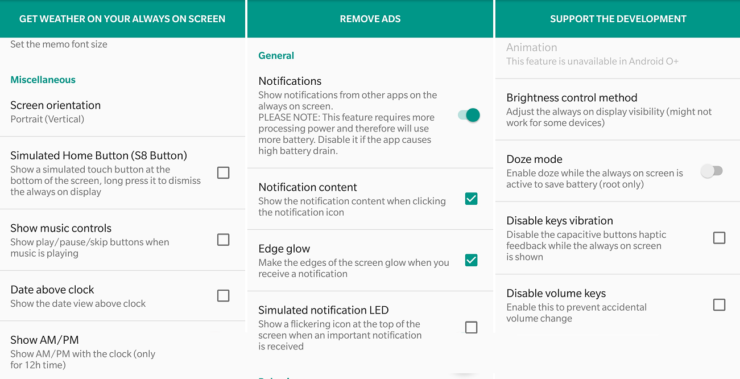 Apart from the ones mentioned above, the app also has a bunch of cool features involving the notifications, the music controls, root-only features and more. You can enable Edge Glow to get an Edge Lighting effect on the Always On Display every time you receive a notification. Lastly, the app also lets you get playback buttons directly on the AoD screen. While not as flawless as native AoD integration, the app does reasonably well at emulating how an AoD would look on your device.